Death Toll Rises in Tanzania Ferry Sinking. 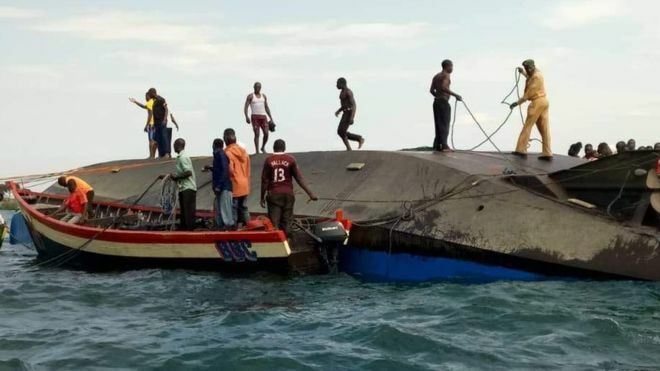 Dozens of more victims have been recovered from a passenger ferry that capsized Thursday afternoon on Lake Victoria in Tanzania. The death toll has risen to 100. He would not speculate on how many people were on the ferry, but it is not uncommon for ferries that ply the region’s vast lakes to carry hundreds of passengers at a time.